The search functionality of PartKeepr allows you to search for many fields in seconds - no matter how many parts you've got.1 You can also search for stock levels, order numbers, manufacturers, distributors and more. Looking for similar parts you might have in stock? 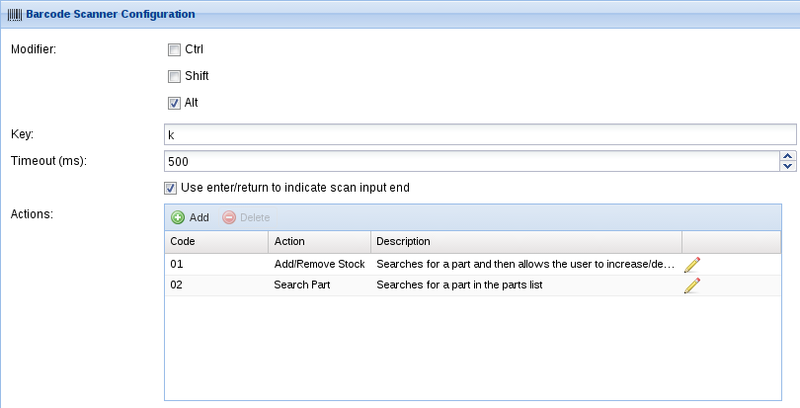 The upcoming parametric search2 of PartKeepr lets you find parts as you are used to from your favourite distributors. You can enter all relevant data of your part - including as many distributors, manufacturers and attachments as you require. 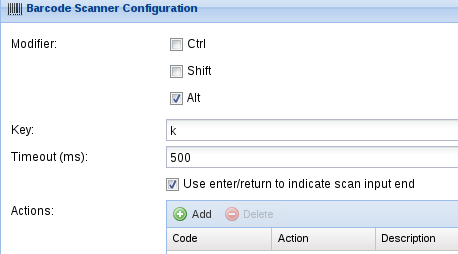 It is also possible to enter any part parameters you require. You can define any unit you like, may it Ohms, Lux, Newton or Becquerel. That data can be used in the upcoming parametric search to find similar parts. 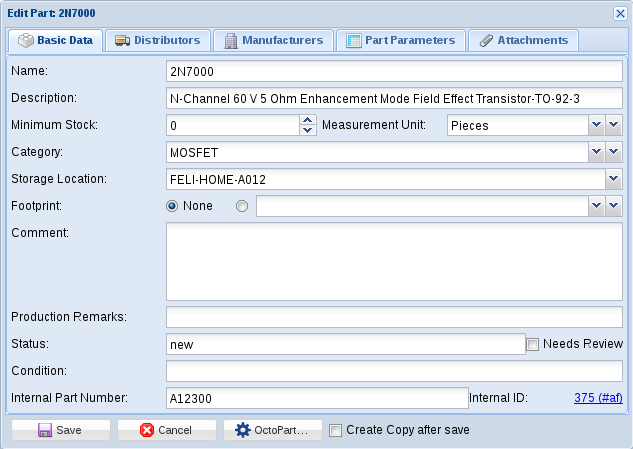 The integration with Octopart3 makes entering parts very quick, as all relevant part data including datasheets and images can be downloaded from Octopart. Any additions or removals from the stock are tracked with the amount of parts added/removed, the user, their price and optional comments. The global stock history view allows you to review any additions or removals from the whole inventory. Filtering by any parts which undercut the configured minimum stock level allows you to find any parts which need reordering. 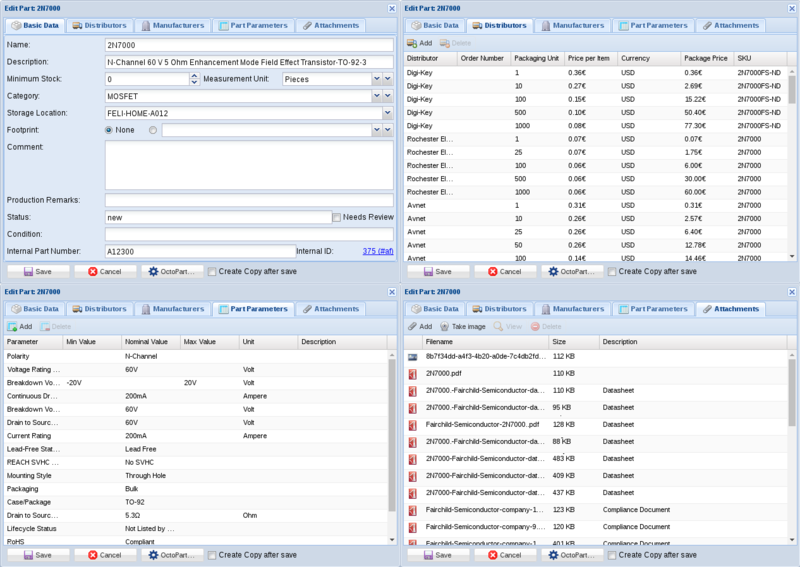 PartKeepr was developed with usability as its first priority. 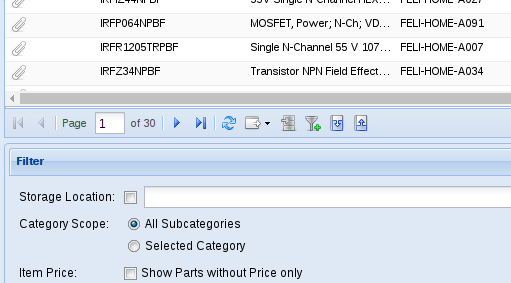 You can sort and filter by virtually any field, drag and drop parts into any category, hide and show additional fields as required and customize the layout of PartKeepr as you require. CSV and Excel export as well as CSV import helps you to interface with external systems. Barcode Scanner support allows you to retrieve part data without touching the keyboard.